← The Coaching Hotseat – Did the Warriors do the right thing? 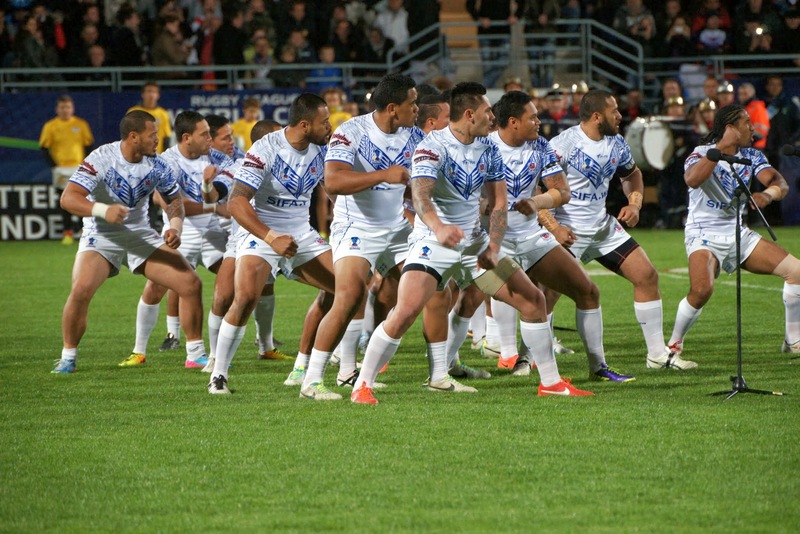 Enriching International Rugby League Part 1 – Give the RLIF teeth! This is part 1 of a 3 part series primarily focussing on those steps required for Rugby League to dominate internationally. The thoughts are an extrapolation of those first ventilated earlier this year in a previous blog. Part 2 will cover the quagmire of international eligibility. Part 3 will provide some pragmatic ideas for getting it done. The Rugby League International Federation is the governing body for International Rugby League. In reality it is a company limited by guarantee formed in Australia with a principal place of business at the same location as the NRL (in Moore Park, Sydney). It generates revenue primarily from levies raised from international football and generally runs at a loss each year. The exception is the profit made from each World Cup which generates sufficient income for the RLIF to run its activities across the interim period. The 2012 Annual Report (the current report on the RLIF website) recognises the cyclical nature of revenue and notes that other income streams including centralised sponsorship and broadcast deals are being investigated to perhaps reduce dependence on the World Cups for revenue. Grants are made to members and affiliate nations to support development of the game. The RLIF has 18 member nations (according to their website), however, confusingly the Rugby League European Federation (5 full Members, 5 Associate Members and 10 Observer Nations) and the Asia-Pacific Rugby League Federation (7 Full Members) have 27 nations which are associated with these umbrella organisations. The RLIF has decision making power regarding the rules of the game, the hosting of World Cups and international eligibility although I suspect those decisions are heavily influenced by Australia, New Zealand and England. It is fair to say that the membership of the Board of the RLIF reflects the relative strength of the game in different regions around the world. Australia has 3 directors, New Zealand 2 and England 3 as compared to some of the smaller nations Cook Islands, Samoa and France who have one each. This also highlights one of the primary issues with the RLIF. Most of the power is held by Australia, New Zealand and England and the Board isn’t representative of all of the Rugby League playing nations. Other issues with the current structure of the RLIF are the lack of real decision making power and consequently a lack of revenue generating capacity. The result is that the RLIF seriously lacks the teeth to get the job done. How do other sporting bodies do it? FIFA is probably the pinnacle of international sporting bodies (although the IOC would be up there as well and if the rumours of corruption in both bodies are true both are hardly shining beacons of governance). It is important at the outset to note that it is probably unfair to compare the RLIF to FIFA given the participation rates of Football players and countries is astronomical compared to Rugby League. FIFA consists of 209 member nations all of which have 1 vote in the FIFA Congress (which is the Parliament for Football). The Executive Committee is the main decision making body for FIFA and consists of the President (who is determined by the FIFA Congress) and 8 Vice-Presidents and 15 Members all of which are nominated by the Confederations and Associations. It is fair to say that there is a bias towards Europe, however, the 24 members of the Executive Committee also represent 24 different countries as diverse as Papua New Guinea, Burundi and Guatemala. It is the United Nations of Sport. Probably the thing that sets FIFA apart when compared to the RLIF is greater representation and hence independent decision making and greater revenue generating capacity. These are the things most needed by the RLIF. Give every full member nation a vote in a Congress type setting and reserve certain powers for the Congress including the power to vote for the President. Widen the representation on the Board and water down the power of the three most powerful nations in International Rugby League (short term pain for long term gain). Each nation should vest a greater amount of power to the RLIF in respect of International Rugby League. The RLIF requires a greater slice of the revenue raising pie if it is going to be able to make a difference. Give the RLIF decision making power in a wider variety of circumstances. For instance, the ability to nominate international windows when clubs have to make their players available for selection (this is again leveraging off ideas created by Football). If each country can cede aspects of the above to the RLIF then the game has a chance to grow at a much faster rate. Unless some power is ceded then the game will continue to be hamstrung and is in danger of one day disappearing completely. The Brew Crew. A MLB best 11-4 and while there are still 147 games to go it is a start the beleaguered Milwaukee community aren’t complaining about. The Titans. I think they will eventually settle into the bottom half of the eight but clear ladder leaders after six rounds. Nice work lads. My tipping. Hoping to reach 50% this week. I’m having a late season fade in my EPL tipping too. Spent five days in Canterbury, New Zealand and noted that while there is more coverage for Rugby League in NZ than there is in Melbourne, RL is still running a distant second behind Rugby Union. BTW really enjoyed Christchurch. The first day was quite a shock as the city centre is still devastated from the earthquakes (signs of destruction are everywhere), however, we revisited the City on the last day of our trip and the rebuild is in full swing. The City has made a superb effort to get on with their lives. There is a trendy shopping precinct made from shipping containers and everywhere you look effort has been made to make the place look good. Nice work. Andrew Bogut receives bad press from time to time about his chequered past with injuries which is largely unfair. He is currently out because of fractured ribs and could miss the whole NBA playoffs. Lowell Cohn had a great take on it when he said the following in his most recent column “and, yes, Bogut gets hurt a lot. Not because he’s soft. He is a banger — the banger the Warriors need — and bangers bust their body parts. The Warriors will miss his banging in the playoffs.” Pretty much sums up my take on the matter. David Mead – Run Metres – 243m, Tackle Breaks – 4, Tackles – 3, Offloads – 1, Line Breaks – 1, Tries – 1 and Faster Than – Lightning. Any other improvements for the RLIF? This entry was tagged Australia, Baseball, Basketball, FIFA, Football, New Zealand, NRL, RLIF, Rugby League. Bookmark the permalink. Thanks. I like my coffee too.